SKU: 718625316. 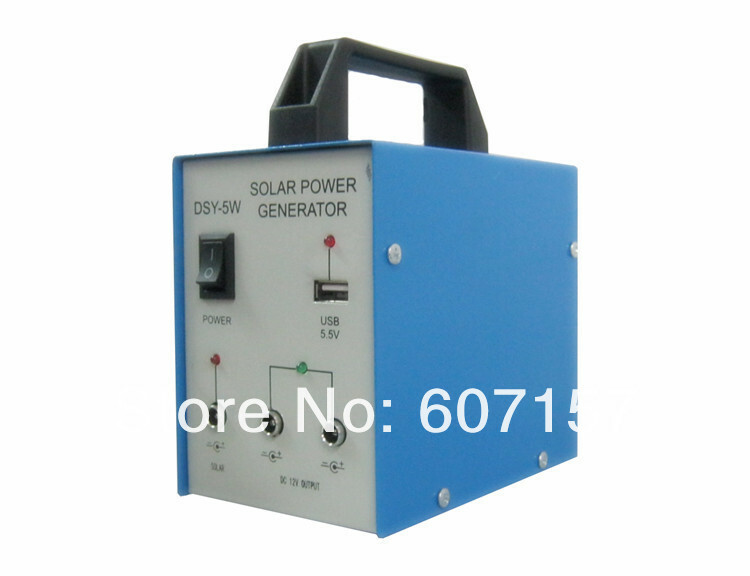 Category: Solar Energy Systems. Tag: solar system. 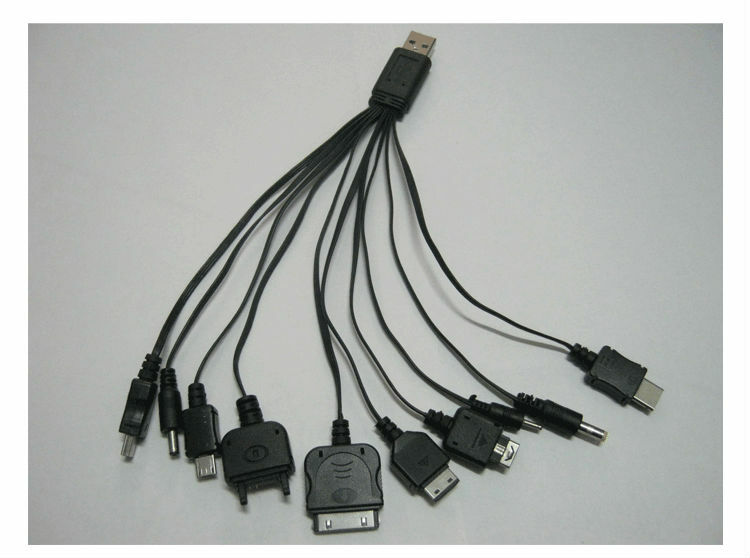 A.Mainly suitable for home, office ,camping,outdoor activities,use,major digital electrical products such as lighting and phone charging. 1.Fixed solar panels,solar panels facing south tilted 30-50 degree. 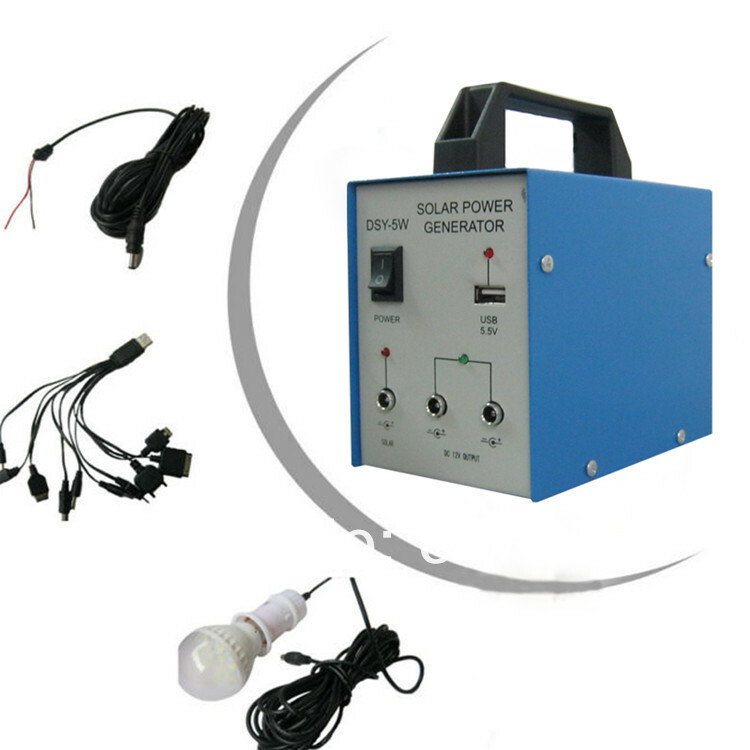 1.Solar generator, does not need oil ,gas,coal and other fuels,directly absorbs sunlight and converts into power without spending a penny, comprehensively enhancing the quantity of life in areas without electricity. 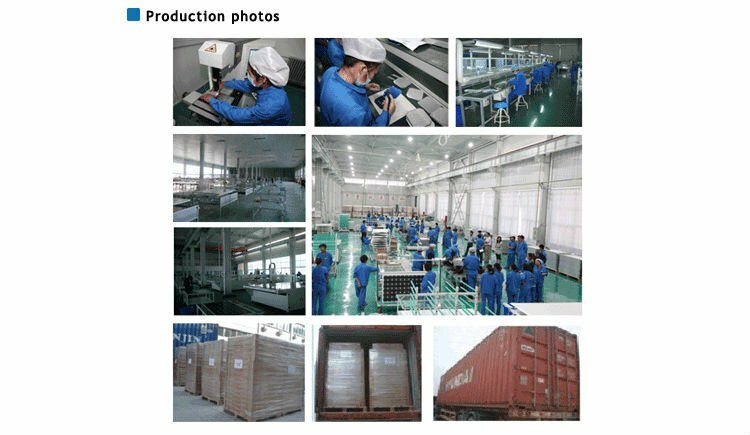 3.Adopt polycrystalline(monocrystalline) high efficiency solar panel, tempered glass and aluminum frame laminated ,fashionable,beautiful,durable and easy to transport. 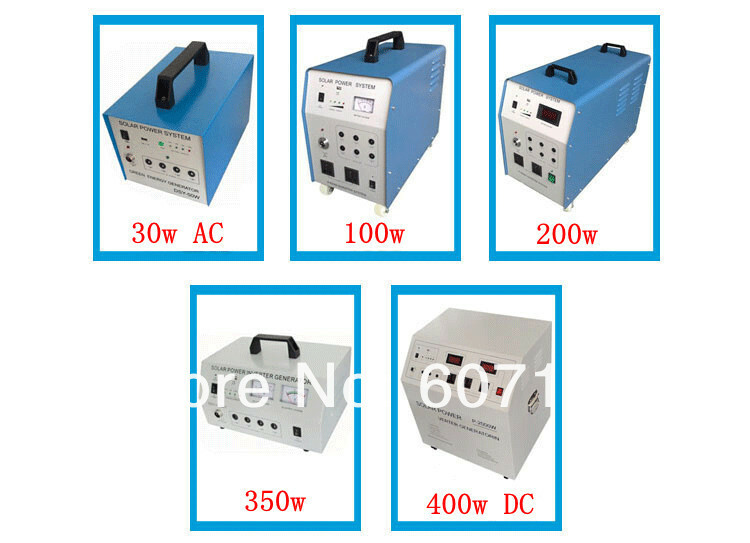 4.The power detection function of the generator makes you always know the status of electricity using to ensure required electricity. 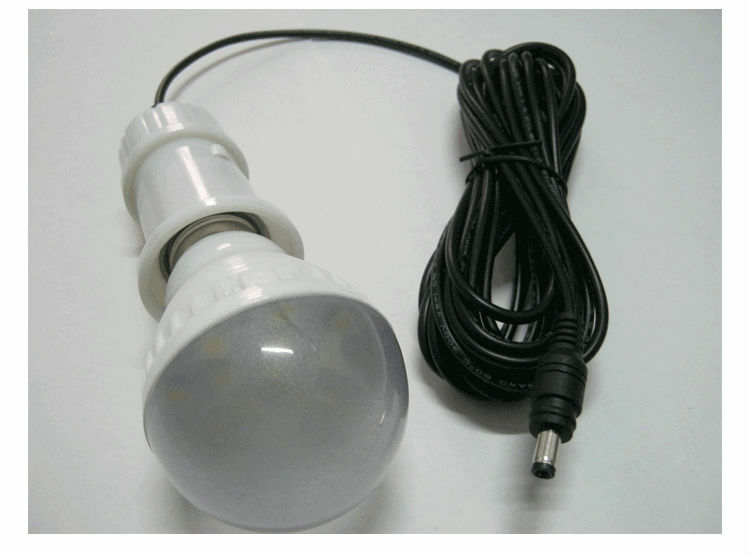 5.Equipped with 12V 1.55W LED energy-saving lamp (3W LED energy –saving lamp =30W ordinary light bulb,suitable to be installed in any place for lighting),and changing LED bulbs according to customer requirements is available. 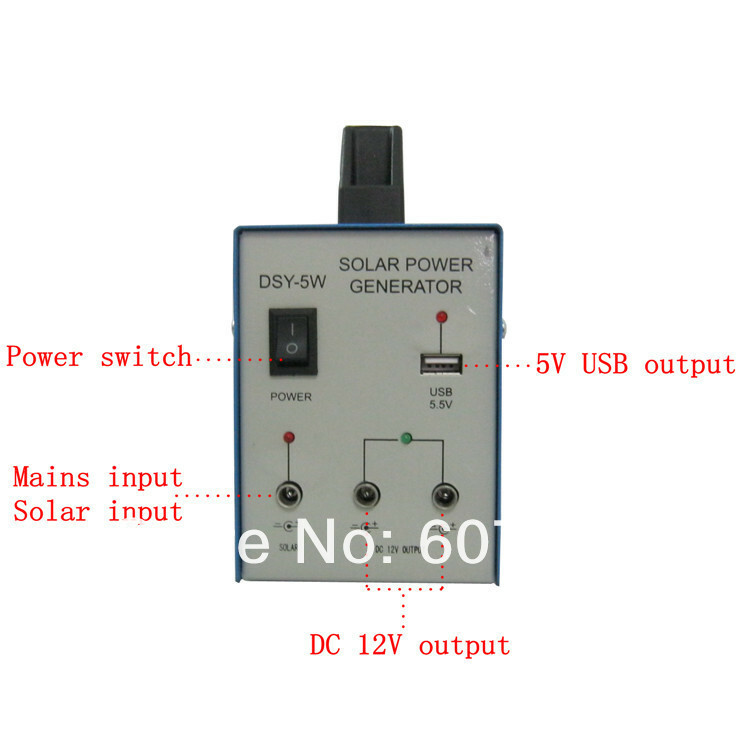 6.Fool type input and output devices,not necessary for installation and commissioning,simple operation ,convenient and quick. 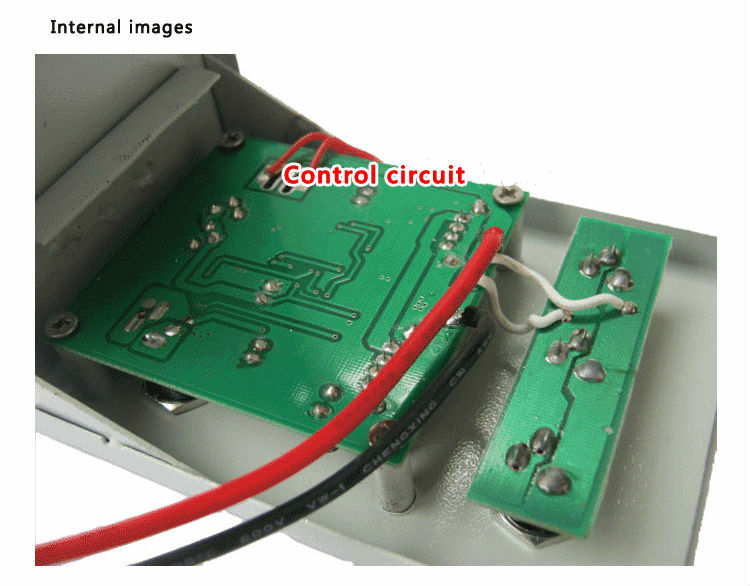 7.Built-in maintenance-fee 12V/4 independent outputs do not interfere with each other ,with overcharge and over discharge protection as well as overload protection,hign temperature protection and open circuit protection functions ,etc. 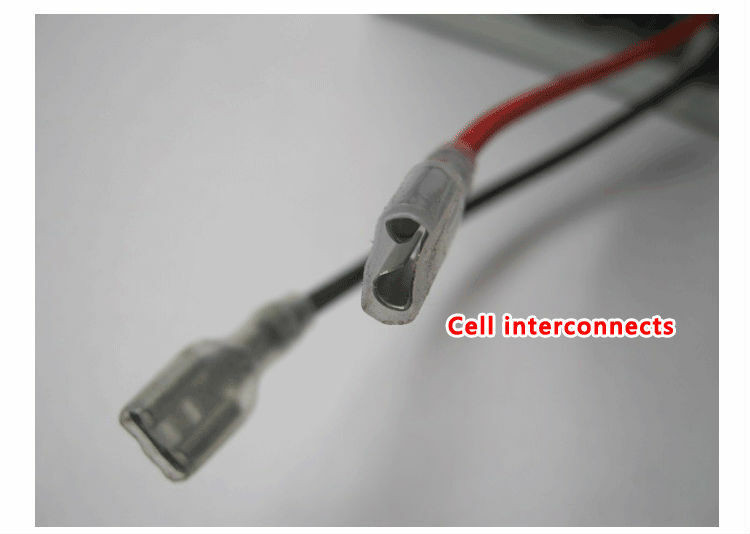 8.USB dedicated step-down circuit,fully adapt to charging cellphones with lithium battery and other digital products. 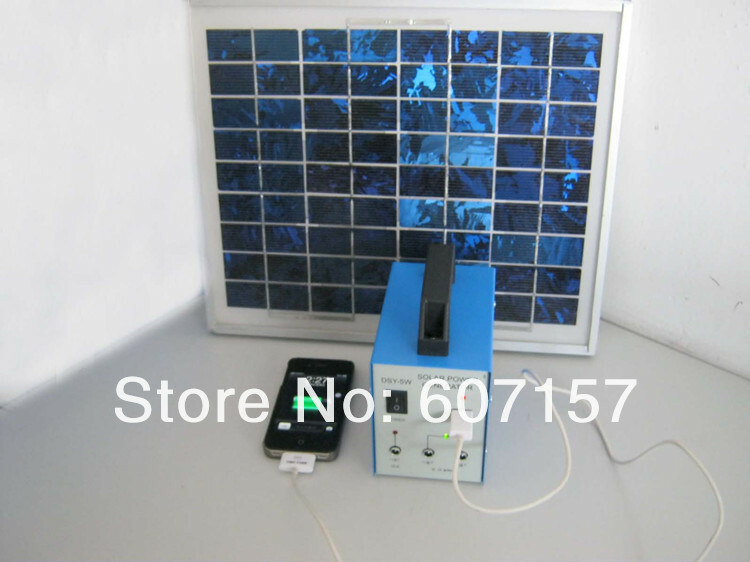 9.Solar home light generator, silent,light and exquisite, shockproof dustproof, green energy, environmental protection ,healthy ,essential in areas without electricty. 1. 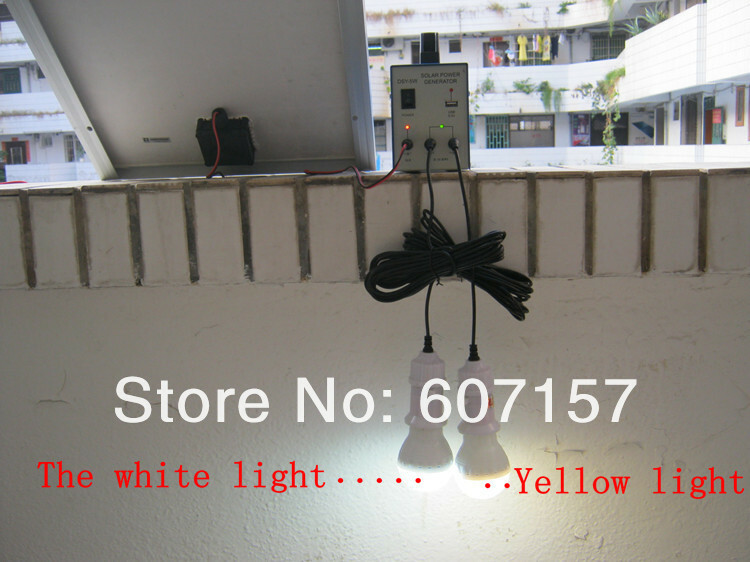 Please do not connect LED light to 220 AC power. 2. The solar panel is waterproof. Please pay attention to protecting the system box from water! It is better to place it in a cool and dry place. 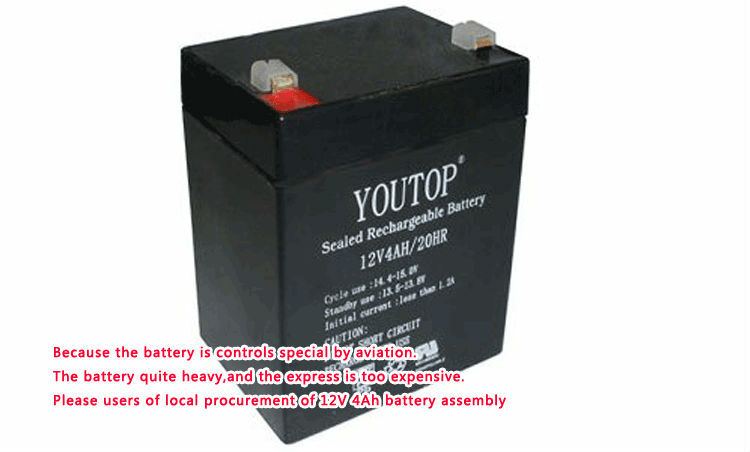 It is prohibitted to expose under the sunlight which will affect the service life of the battery. 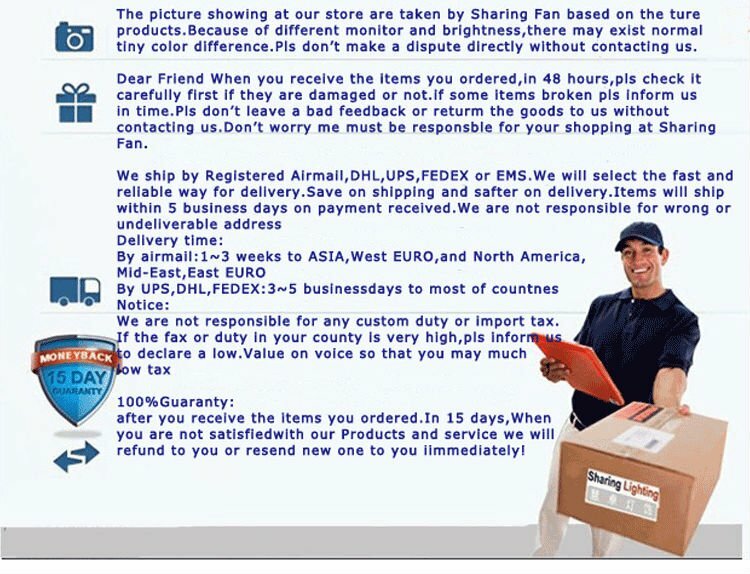 Any question, please contact us through Aliexpress mailbox or e-mail. 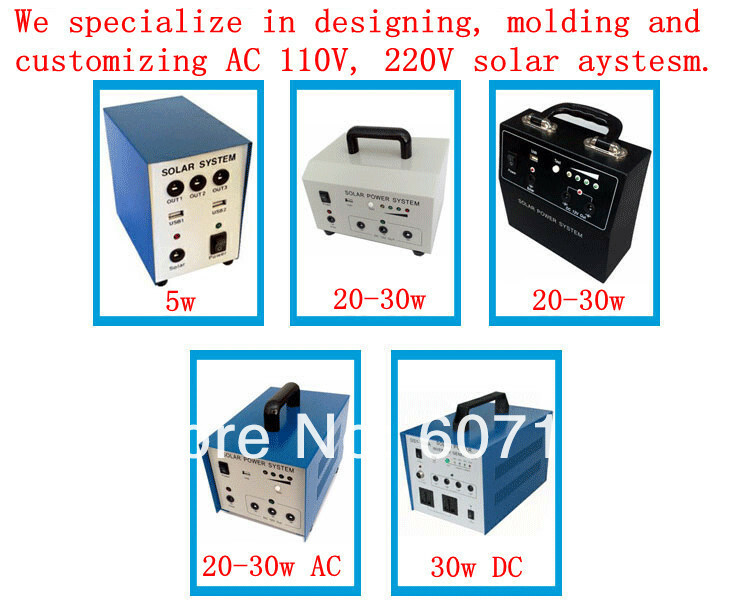 We are willing to provide free design of all kinds of solar systems. 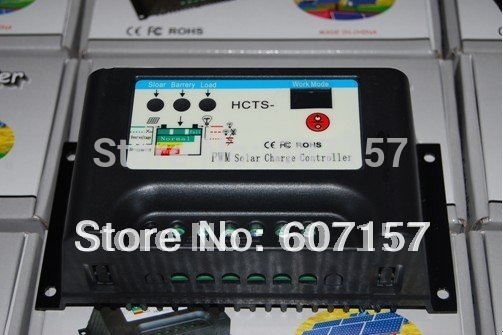 In addition, wholesale and OEM of all solar power systems are available. c. Damage caused by personal repairing without examination by the maintenance personnel of our authorized service shop.